Are you looking for a unique Christmas gift? 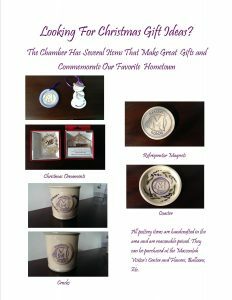 The Mascoutah Chamber of Commerce has several pottery items that are handcrafted in the area and make great keepsakes that commemorate our favorite city. They are reasonably priced and can be purchased at the Mascoutah Visitor’s Center and Flowers, Balloons, Etc.